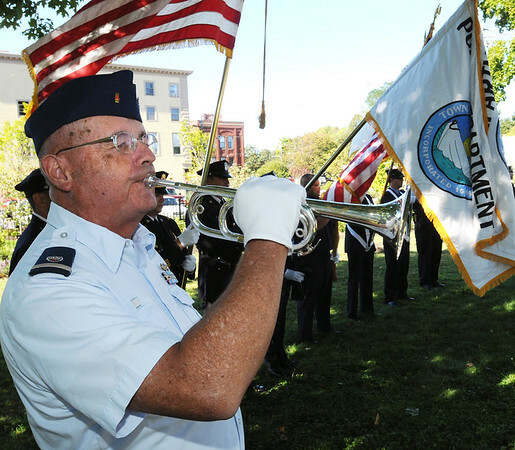 John Collins of the Coast Guard Auxiliary plays taps during the remembrance ceremony to commemorate the 11-year anniversary of the Sept. 11, 2001, terrorist attacks. The ceremony was held at Memorial Park in Marblehead. Photo by Ken Yuszkus/The Salem News, Tuesday, Sept. 11, 2012.